As of September 7th, a brand-new Miss Seeton story is available! This book is jam-packed. Numerous plot-lines dance about each other, weaving a story that takes a couple of readings to fully unravel. And in true “Battling Brolly” fashion, Miss Seeton is somehow entangled in each goings-on, and yet remains blissfully unaware the whole time. 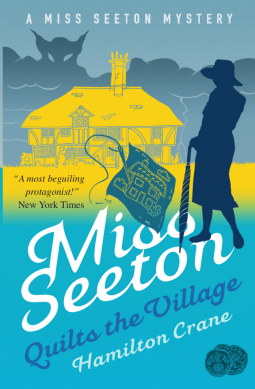 Miss Seeton is nobody’s fool, so it has always amused me greatly how her incessantly polite look on life can make so many people misunderstand her, or how she can be so unaware, yet her subconscious-led art can turn out so many vital clues. The authors who have crafted the series over the years have done a wonderful job of keeping this unique quirk alive and fresh for the readers. This new title is two decades removed from the previous book in the series, and yet we pick up right where we left off with all the people of the town, and they are just as fun to read as ever. I’ve always liked how, even though it’s the “Miss Seeton” series, the author(s) give us POV from all characters therein. Getting a perspective outside of Miss Seeton’s rounds out each story, and allows us to enjoy her antics even more. I liked how the plot dealt with several layers of history – how different events can be interpreted, and how one family, or one village can impact those around them in ways unexpected. You can’t rush ahead while reading this one, there’s a lot to process! I hope this publication is indicative of more to come! 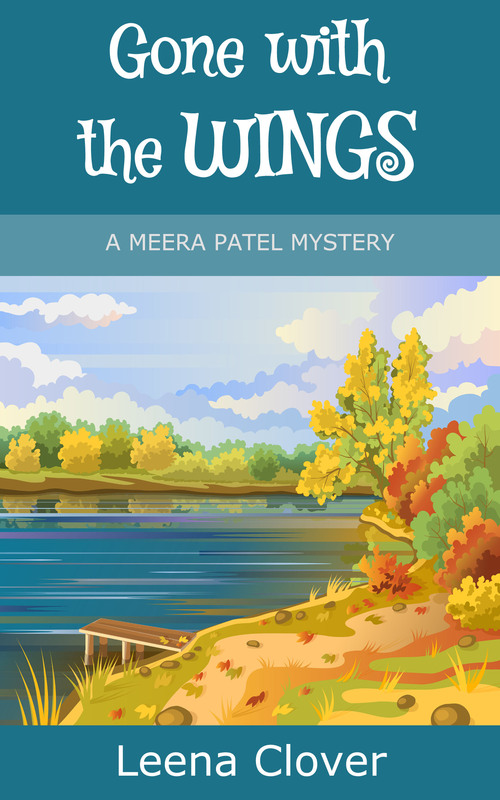 This review is a stop on the Great Escapes Blog Tour for “Gone with the Wings”. If you could smell the story inside books, you would be able to smell “Gone with the Wings” from across the bookstore when you walked in. And it would make you very hungry! Meera’s family dynamics are centered in the kitchen, and the author does a fantastic job of setting a plate for the reader and making them one of the group. I’ve not read many cozy mysteries set in Oklahoma, so I was eager to see what Ms. Clover did with her setting. I really enjoyed that she took the time to show the reader the diverse landscape that one can find throughout Oklahoma, and how much pride the residents take in where they live. It was a very refreshing depiction! The story itself is fast, moving quickly, but not rushed. I liked how there were several different layers going on, and when the reader thinks they’ve got one figured out, something happens in another area that will upend their assumptions. A quick read, but a jam-packed one! The best part of the book, for me, was watching how Meera’s family interacts, and getting invested in their lives. Ms. Clover has deftly laid the set-up for the books to follow, and I believe it will be a series to enjoy! Be sure to enter the raffle HERE for a chance to win your own copy of “Gone with the Wings”! I said this in one of my earliest Winemaker Detective reviews, and it still holds true: Don’t read these books while you’re hungry! The food, the wine, the landscapes, the people. The authors of the Winemaker Detective series have an almost unreal ability to bring their books to life, to pull on all of the reader’s senses and plunge them deep into the story. It’s simply amazing. Requiem is an amazing Winemaker Detective book. Granted, they all are, but this one stands out. It feels like the very first of the series – the banter, the emphasis on the food, the wine, and just the fun of reading. I loved seeing Paul William again, and many other characters from previous works. There were many subtle references to previous adventures, to whet the appetite of those who may just be joining the series, and it all tied the work together well. Add in a plot that keeps twisting on the reader, just when they think they’ve figured it out, Benjamin’s always trusty one-liners (“Don’t forget your wife’s birthday”), and the relationships that make this group so much fun, and it all creates a book I can’t wait for everyone to pick up!